The King’s Fountain Mermaid at Linlithgow Palace. Photo by Barrie Caveman. Although Linlithgow Palace is a ruin now, certain parts have been restored and are maintained, including the King’s Fountain, which now is again operational with flowing water. The site is a visitor attraction under the care of Historic Scotland. The fountain is said to have been flowing with wine in 1745 in honor of a visit by Bonnie Prince Charlie. 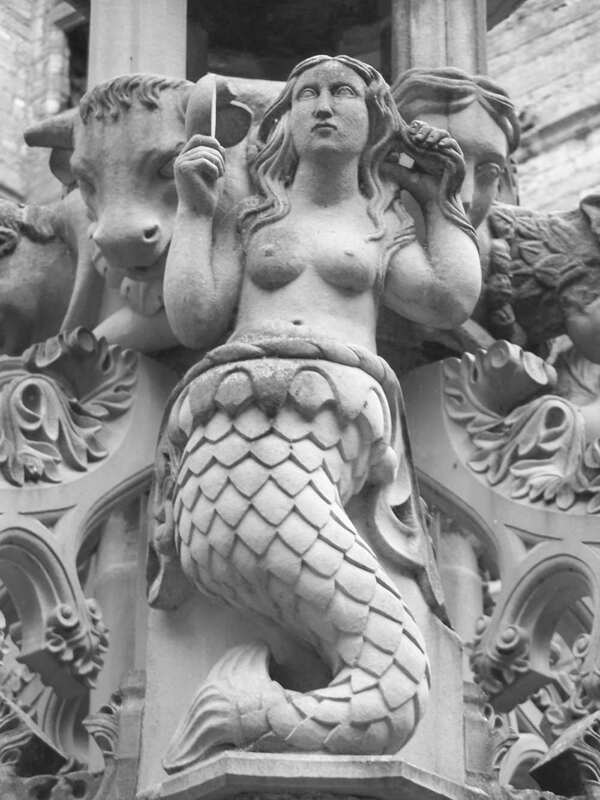 It was restored to working order in 2007, and on select days has water flowing up and out through the large crown at the top of the fountain, then down and out through faces such as the one on the right behind the mermaid in the above photo. The fountain is a masterpiece of stone masonry and contributed directly to making Linlithgow Palace one of the favorite residences for the Scottish royalty. It is said that King James V wanted the fountain created to show Henry VIII that the Scottish Monarchy was as grand and powerful as other monarchies in Europe at the time. 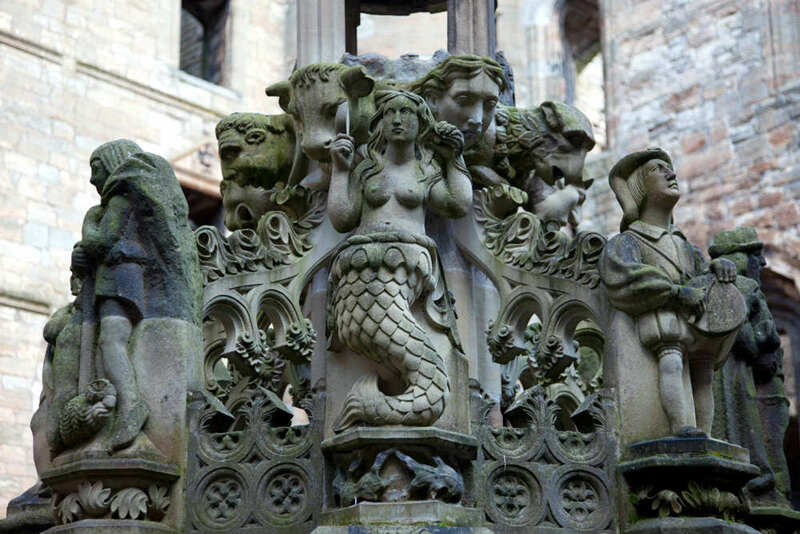 The King’s Fountain Mermaid at Linlithgow Palace. Photo by Nick Haynes.